In the state of Illinois, there are five unique classifications of felony charges, all with varying penalties. Often, defendants are unaware of the differences between them and, without the help of a criminal attorney in Peoria, IL, are unable to discern the best courses of action. Before we can begin to discuss your options, it’s important to understand the difference between felony classifications. 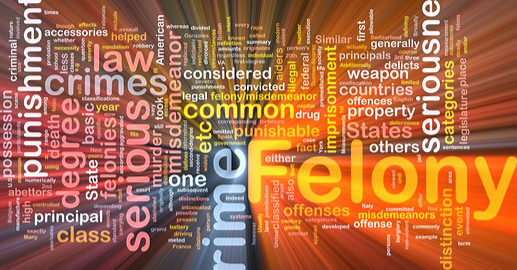 Felony X – Considered the most severe, this class can result in more than 30 years of imprisonment. Felony 1 – Reserved for offenses that do not meet the conditions of class X, a felony 1 can result in the loss of freedom for 15 years. Felony 2 – With a penalty of up to 7 years, a class 2 falls in the middle of the most and least severe felony charges. Felony 3 – Those charged with a felony 3 may be imprisoned for up to 5 years. Felony 4 – Carrying the least severe sentence, a class 4 felony can result in up to 3 years of jail time. Depending on the charge and specific details of your case, it’s possible that a trial may be in your best interest, which can be determined after meeting with a criminal attorney in Peoria, IL. Serving the Peoria, Bloomington, Canton, and Pekin, IL communities, Brave Law Center, P.C. proudly offers assistance in a variety of criminal areas. If you’ve been charged with a felony and need a reliable, experienced lawyer to represent you, trust the team at Brave Law Center, P.C. Contact us today.